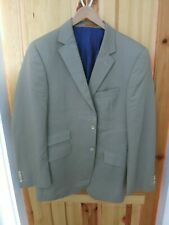 Simon Carter Men's Blazer 40 Inch. Condition is Used. Dispatched with Royal Mail 2nd Class. Pit to pit = 20.5". Colour - Stone / beige. Simon Carter Windowpane Check Mens Blazer 42 regular . selling as new as only worn once for two hours..excellent condition!! no signs of wear non smoker.. cost £350.00 new from House Of Frasier Dispatched with eBay delivery – Shutl 1 day. Simon Carter Pinstripe Blazer . Condition is Used. Dispatched with eBay delivery – Shutl 1 day. 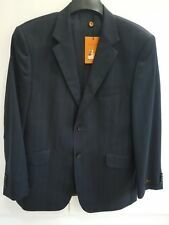 Simon Carter West End Slim Fit BLAZER.Is smart black BLAZER suit for wedding, cocktail or any special occasions.Wrong size never been worned.Condition is New with tags. RRP £275 now at £19.99.